Ben Tasevac was named ITA Mountain Region Most Improved Senior Player today. 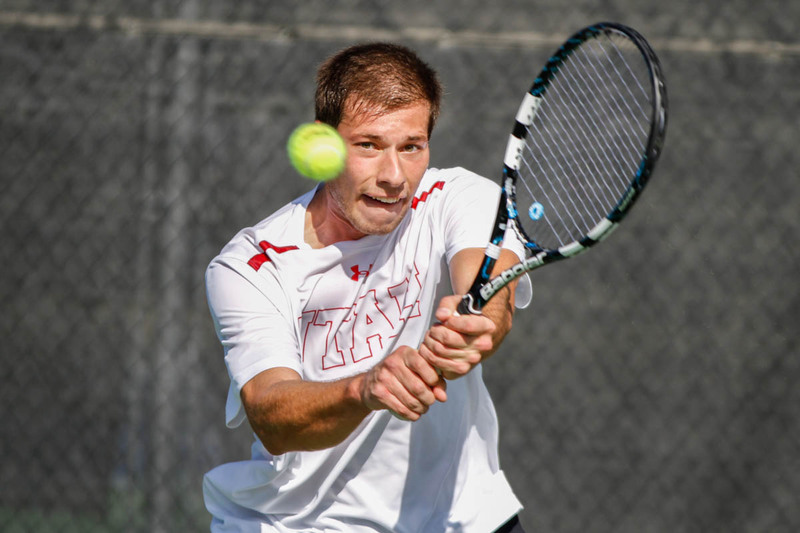 SALT LAKE CITY – Utah tennis student-athlete Ben Tasevac was named Most Improved Senior of the Year, while Roeland Brateanu was named Assistant Coach of the Year by the Intercollegiate Tennis Association (ITA) today. Tasevac was named Pac-12 Player of the week on Feb. 25, 2014, one of two Utes to receive the honor this season. He finished his collegiate career with 48 singles wins and 25 doubles victories. His best victory of the season occurred when he defeated nationally-ranked Maciek Romanowicz of Stanford. Tasevac clinched three huge wins for the Utes when defeating Mitch McDaniels (New Mexico), Andre Goryachkov (BYU) and Marc Hermann (Nebraska). Coach Roeland Brateanu (left) has been named ITA Mountain Region Assistant Coach of the Year. 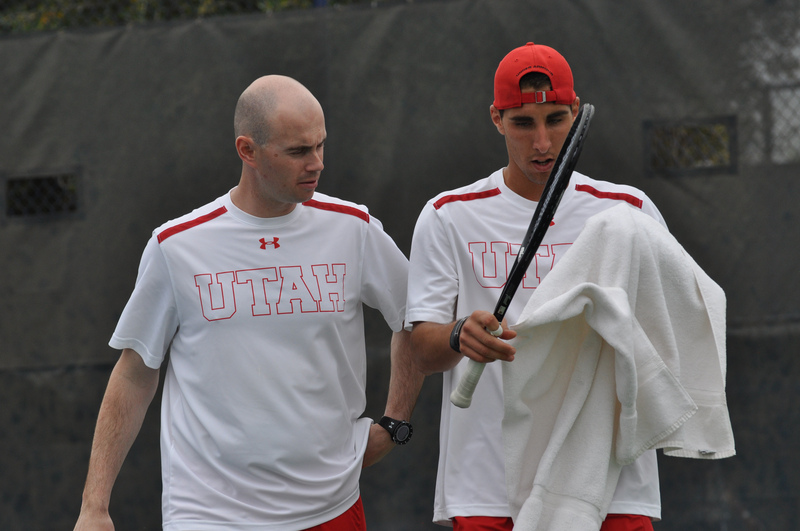 Brateanu was recently promoted to head coach of the Utes after serving as an assistant since 2007. Brateanu has helped develop seven all-conference players, including Slim Hamza, Utah’s first All-Pac-12 selection and the 2012 ITA Rookie of the Year. He also assisted in coaching six All-Mountain West Conference players from 2007-2011 including MWC Players of the Year Zach Ganger and Phillip Ellers. This entry was posted in Awards, PAC-12 / NCAA News and tagged Assistant Coach of the Year, Ben Tasevac, FD Robbins, Graeme Cox, ITA Awards, Most Improved Senior Player, Regional Awards, Roeland Brateanu. Bookmark the permalink.